Bernie S. Siegel, M.D., Surgeon, Founder and First President of the American Holistic Medical Association, author of bestseller, "Love, Medicine and Miracles." "Something like this coming from a man of Dr. Finkelstein's reputation and training can help open minds. He should keep telling his stories." "...Dr. Finkelstein shares with us his unique experiences with many amazing healing approaches and techniques. Therapists should thank Dr. Finkelstein for reminding us that a healer's heritage is as much Christ and Krishna as it is Freud and Jung, and therefore a healer's capacity to help is limited only by his spirit (which is limitless)." "...Dr. Adrian Finkelstein courageously has put forward his novel observations and experience of the world inside all of us. He has opened a whole new and unique psychiatric treatment technique." "An interesting book which can help open your mind and life to new experiences and achievements." "...a wonderful, deeply spiritual means to find betterment and enlightment. Because it is written by a scientist (who often have an opposite point of view), it is all the more vital and integral!" "Adrian Finkelstein writes from the heart. This book is a reflection of his deep caring for the emotional and spiritual healing of his patients." This book shines through its concentrated practical wisdom. Surely, coming from a man of Dr. Finkelstein’s reputation and training it can help liberate minds. Constant practice of its message can render one free. 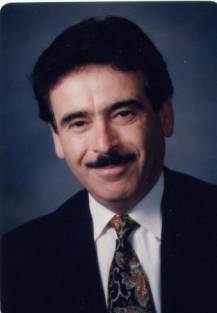 Dr. Adrian Finkelstein is one of the New Age pioneers. His new book: “A Psychiatrist’s Notebook, Practical Self-Discovery and Self-Help Spiritual Guide” is a gem of concise, clear and crisp practical simplicity. It combines his long expertise as a spiritual psychiatrist with the wisdom of the ages. I wholeheartedly recommend it to everyone. With faithful and daily practice of its contents, in a short time, one may witness a dramatic improvement in one’s life. Hard cover 22.95 USD On May 10, 2006!!!!! HAMPTON ROADS PUBLISHING RELEASES THE WORLD'S HEALING BESTSELLER. "Marilyn Monroe Returns, The Healing of A Soul". 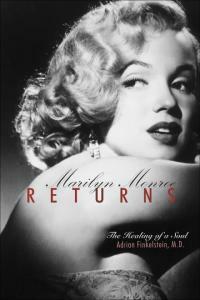 Renowned Psychiatrist and leading EXPERT Hypnotherapist Dr. Adrian Finkelstein discovers the reincarnation of Marilyn Monroe and tells her story. Wrap your mind and spirit around this true recount and unique odyssey on the life of International singer Sherrie Lea. LAIRD, also known as the lead singer of Toronto band Pandamonia, is currently charting with No Ordinary Love, Spellbound, Nothing Better than Life as well Women & Songs 7. "Something like this coming from a man of Dr. Finkelstein's reputation and training can help open minds. He should keep telling his stories." Founder and First President of The American Holistic Medical Association, Author of the bestseller: "Love, Medicine and Miracles"